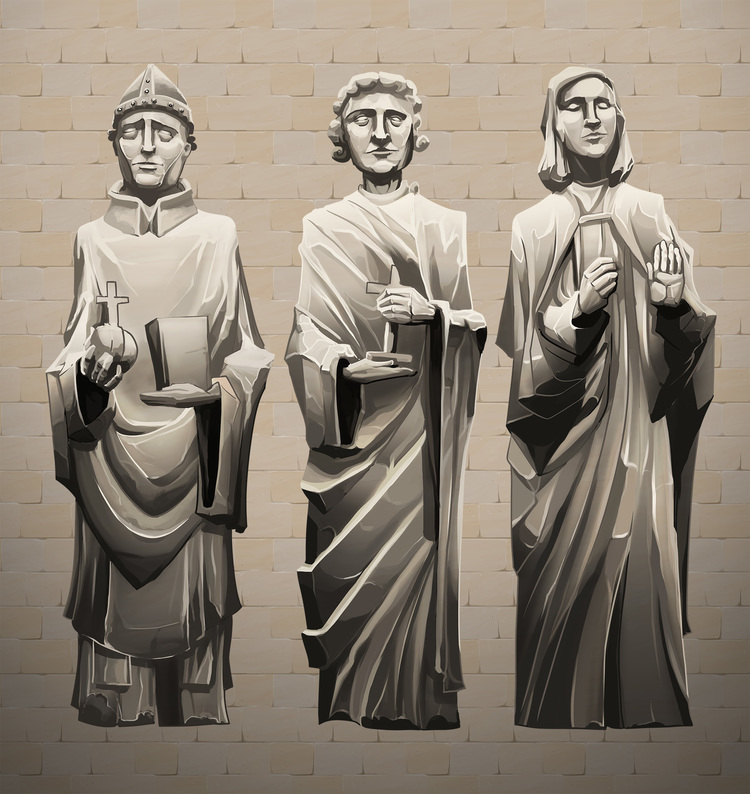 Hi there, today I'm going to take you through the process of painting 'vandalised' background statues. With a lot of time on their hands and no one really in the mortal world to answer to. Vampires are jerks! 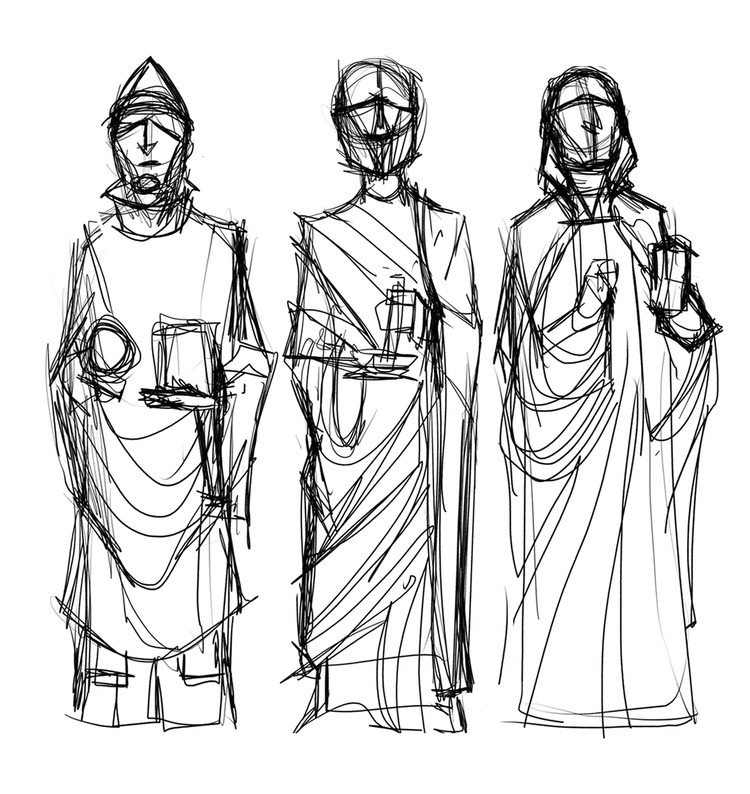 Kicking off with the rough sketch, quickly laying out the shapes. 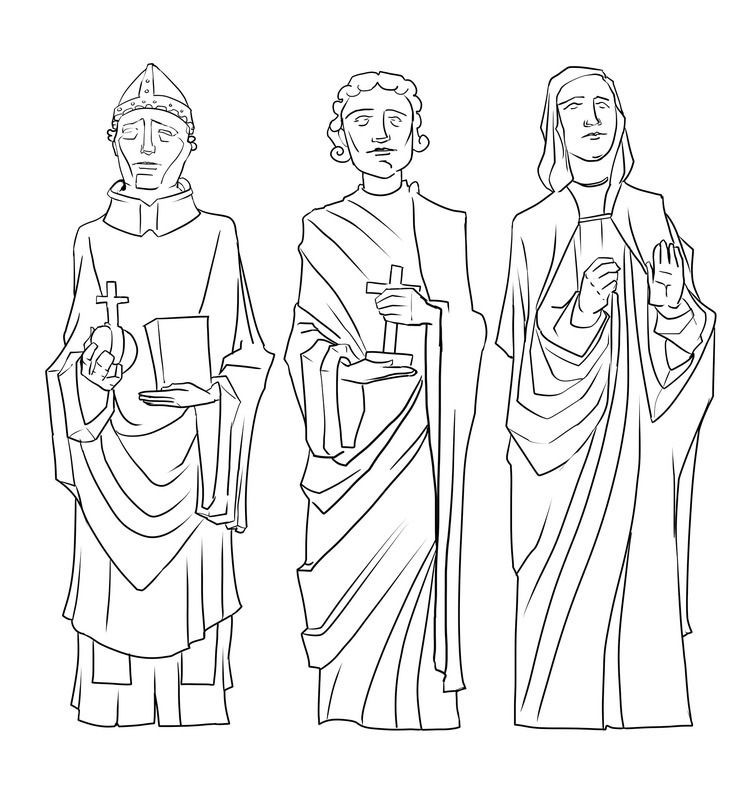 Draw in clean linework to make sense of the mess of scribbles. Blob in basic colour, light and shade. Trying to move quickly not paying too much attention to paint it in accurately and using the clean later as my blueprint. Then render, a LOT of colour picking, undo and redo. Using a hard edge brush colour mixing as I go. Then at the end something legible emerges from the mess. 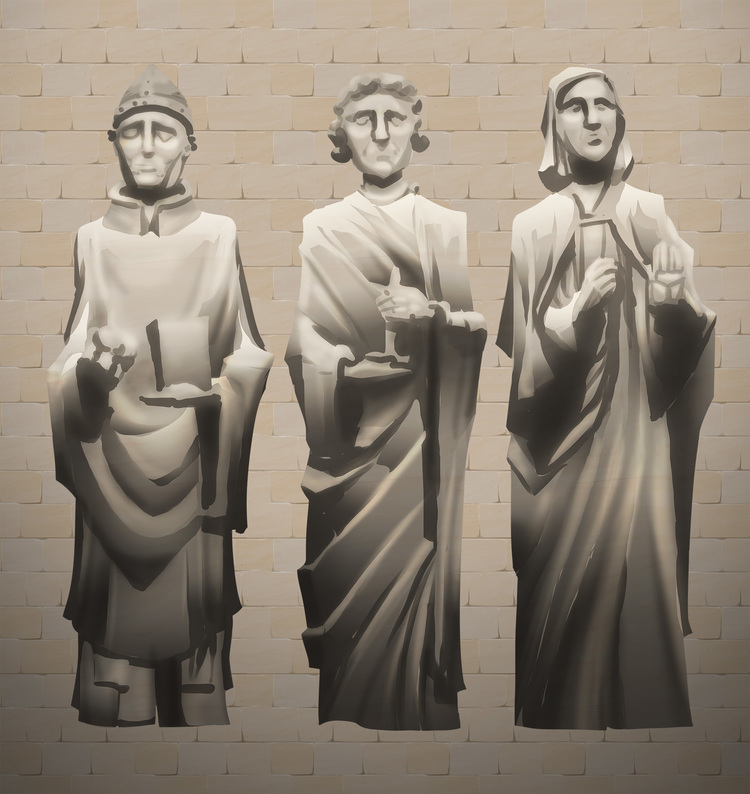 The statues are done, then just have at it like a jerkus with too much time on their hands. 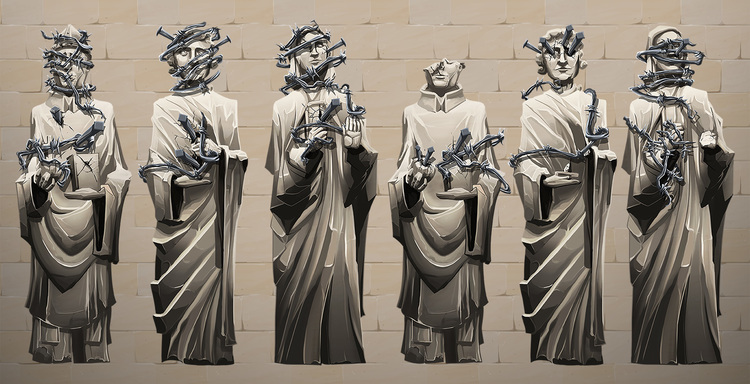 Painting damages into the statues and making variants. 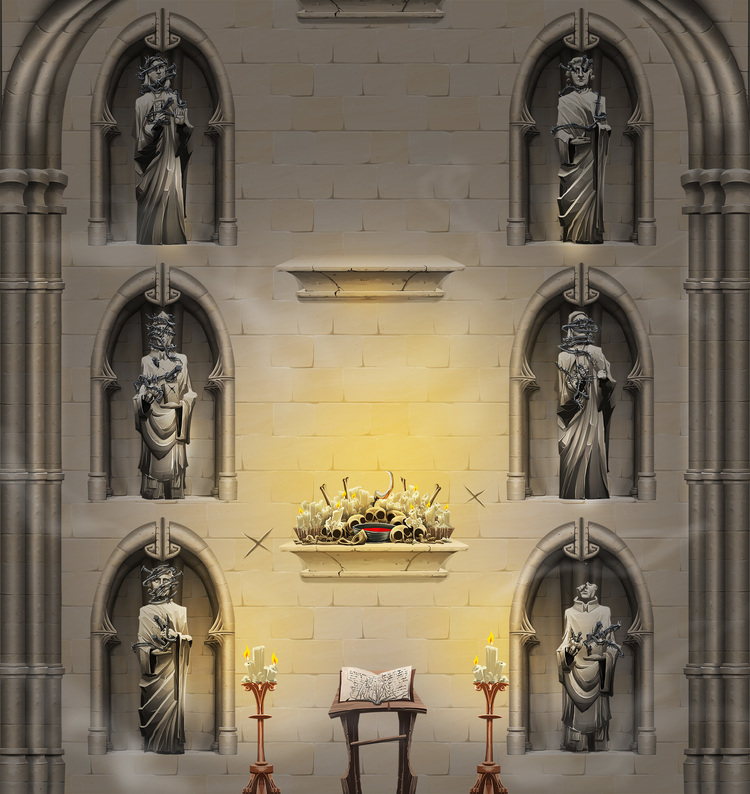 Now the statues get placed in scene and they seem happily at home and just another part of vampire squatter décor.